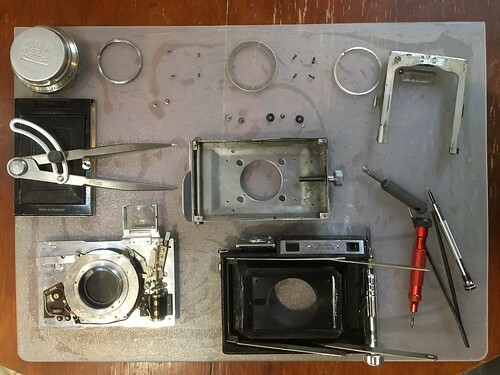 Share your advice about camera repair or ask a question. A friend from the net got his Makina III fallen and the scissors are bended, I took the camera for restoration/fix and decide which Makina I prefer (black or silver). Making III striped and tools used. Now I'm waiting Anticomar 100/2.9 to adjust rangefinder and do some photo test. Re: Makina III scissors problem. Yeah, that was good work you did on restoring that Makina, Alex.